As the Twins ponder ways to bolster their starting rotation, the Rays pitcher in particular seems to make the most sense for them to pursue this offseason. 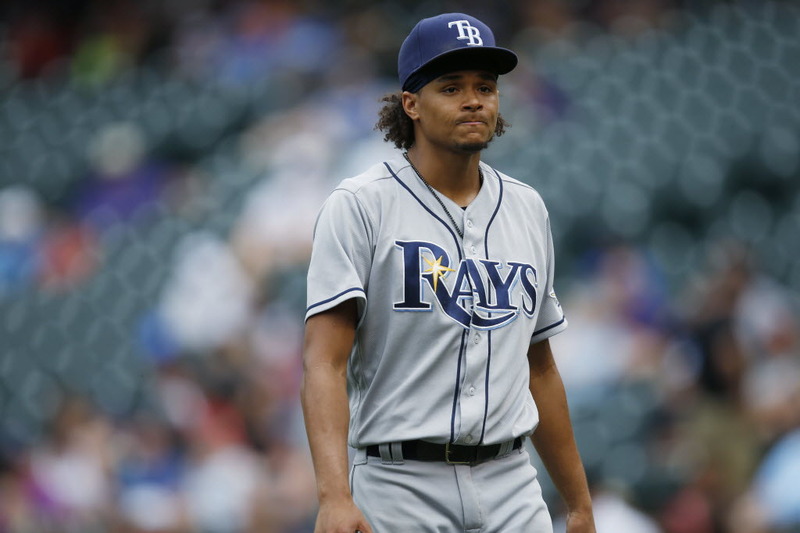 As the Twins ponder ways to bolster their starting rotation, one pitcher in particular seems to make the most sense for them to pursue this offseason: Tampa Bay’s Chris Archer. Indeed, this pursuit appears to be very real. Our own La Velle E. Neal III reported Tuesday morning from Day 2 of MLB’s Winter Meetings that their interest in trading for the 29-year-old righthander is legitimate. *Repertoire: Archer is a classic power pitcher. His fastball sits between 95 and 96 mph and he has a devastating slider that serves as his main strikeout pitch. He also mixes in a changeup, but the fastball-slider combination is how he gets most hitters out. Here’s a longer look at his big-time slider. *Numbers: So if Archer’s stuff is so nasty, why do his career numbers — at least some of them — look so ordinary? He’s 51-63 with a 3.63 career ERA. His ERA has been a shade above 4 each of the past two seasons. In 2016, he lost 19 games. This is a guy people are calling a staff ace? Well, while we shouldn’t just dismiss pitcher wins as completely meaningless (they helped Jack Morris get into the Hall of Fame, after all), pitchers are very much at the mercy of their teammates. The Rays have been a sub-.500 team each of the past four seasons. Archer had the 10th-worst run support in the AL last season and the second-worst in 2016. The most tantalizing thing about Archer is that he’s a strikeout pitcher. He’s had at least 233 Ks each of the last three seasons, which helped him make the All-Star team two of those years. Of concern, though, is that he’s given up 57 home runs over the last two seasons after allowing 31 the previous two years with a similar workload. Still, he’s the kind of pitcher who can shut down a good lineup. He has ace stuff and often produces top-of-the-rotation results. He’s also been very durable, averaging 33 starts and more than 200 innings over the past four seasons. *Contract: OK, I lied. The most tantalizing thing about Archer might be his contract. He’s under team control for four more seasons at a total value of about $34 million. The first two years are at $14 million total. The last two are team options for $9 million and $11 million, respectively. That’s a tremendous value while also giving the Twins an escape route if for some reason Archer’s career takes a nosedive. *So why would Rays want to trade him? A hard-thrower in the prime of his career on a reasonable contract doesn’t seem to be the kind of player a team would want to get rid of, but Tampa Bay has a history of making deals to restock its talent pool. As noted, the Rays haven’t had a winning record any of the last four years and are in more of a rebuilding mode. The Twins are in a strong position to make a deal because of potentially expendable assets at the minor league level. Archer would make sense both short-term and long-term given the length of his reasonable contract and ability to step right into the rotation. *What would the Twins rotation look like with Archer added? Well, the short answer is “better.” Twins starting pitchers were 19th in MLB last season with a 4.73 ERA — an improvement over being dead last in 2016 at 5.39, but still not great. Ervin Santana was very good last year (16-8, 3.28 ERA), but he fizzled in his postseason start in Yankee Stadium. Santana also turned 35 today and is entering the final year of his contract. It’s reasonable to expect Santana to still be an effective pitcher in 2018, but a regression from 2017 is likely. Jose Berrios (14-8, 3.89) should be on the rise, but he’s also building himself up. Kyle Gibson was very good down the stretch but has a history of inconsistency. He’s second-year arbitration eligible and should be a candidate to see if he can duplicate his second-half success (7-3, 3.76 ERA). Adalberto Mejia showed promise last year and is left-handed. Minor league pitchers Fernando Romero and Stephen Gonsalves could arrive by 2018 as well. Adding someone like Archer, though, makes everyone fit into place a lot better. If Archer delivers as a top pitcher, Berrios and Santana slide into No. 2-3 roles. The bottom of the rotation has more capable arms and more depth in case of injury or ineffectiveness. And if the Twins fancy themselves not just a team that can make the playoffs but one that can do some damage, Archer is potentially the kind of pitcher who can line up against another team’s top starter and not be overmatched. In short, dealing for Archer makes all the sense in the world for the Twins, and they appear to have the pieces to get it done. The Rays have no shortage of suitors, but the Twins are definitely a legitimate one.